A close relationship is developing between Canada's pot producers and the technology companies that support them. With pressure on producers to improve their yields and profits, technology will be a key factor in keeping plants healthy and improving harvests, say experts. 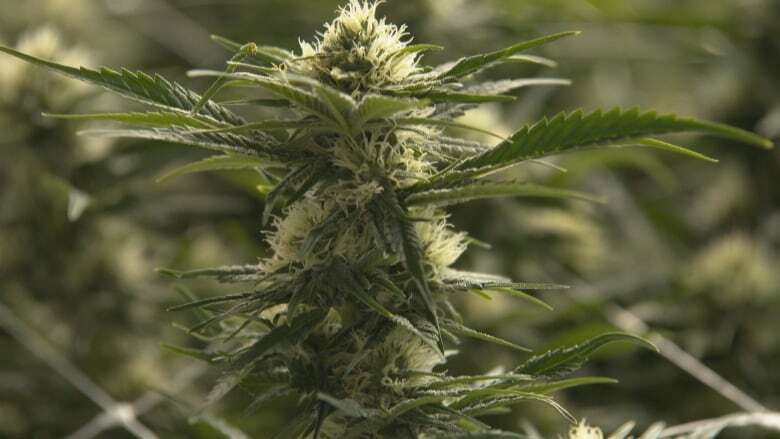 Recreational pot has been legal in Canada for just over a month but the pressure on cannabis producers to improve their yields and profits is already growing. And one factor that will influence their fate is the technology that keeps their plants healthy and improves harvests. "Nobody can manage a million square feet by themselves the old way, which is to look, see, smell," says Michael Kadonoff, the founder and CEO of the cannabis technology firm Braingrid. "You need bionic eyes. You need more nerve endings." 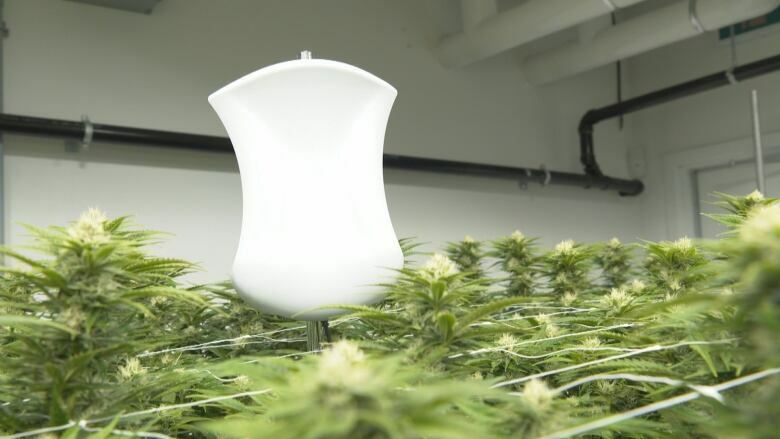 Braingrid's high-tech sensors help growers get that feel for their plants. Encased in white plastic and about the size of a computer tablet, they're strategically positioned inside growing facilities. The system then feeds data — temperature, moisture, pH and more — to the cultivator. "The data is online in just a few minutes," says Kadonoff. There are at least 13 cannabis technology companies from Canada trading on North American stock exchanges, serving producers like WeedMD, Viridium, Leaf and Beleave. Braingrid got into the business in 2016. The Toronto-based firm started out in 2012 selling sensors to the solar power industry. "We had to pivot into what we believe is centre stage for Canada. Globally speaking, cannabis is one of the best examples of where Canada's actually leading the world," says Kadonoff, who plans to take the company public by the end of the year. Other companies serve different aspects of the industry. Calgary-based FluroTech tests cannabis samples for potency and chemical composition, watching for pesticides and other contamination. BlockStrain, in Vancouver, has developed a platform that registers and tracks intellectual property in the industry. Another Vancouver company, Cannvas MedTech, has a program that matches people with specific pot products and strains, based on information the user submits about their health and the effect they're seeking. The success of these companies will, naturally, be closely tied to that of their clients; their new best friends. 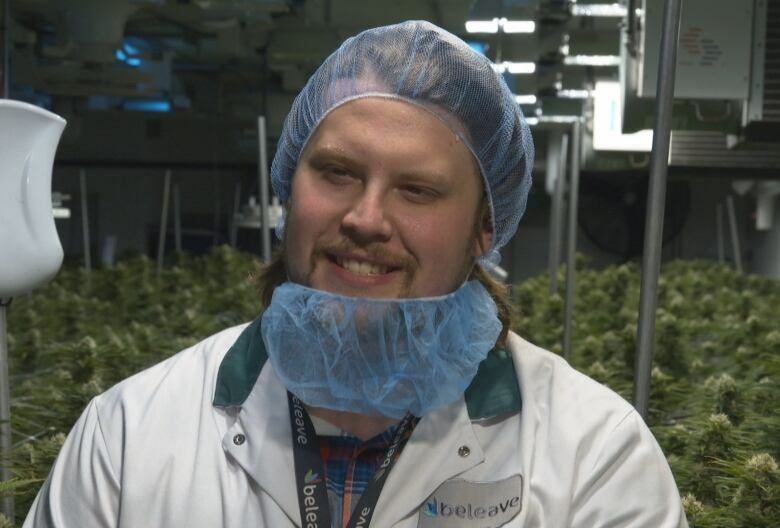 And the clients need that technology because pot is a demanding plant, explains Chad Rigby, the cultivation manager at Beleave in Burlington, Ont. "It doesn't stop growing and you kind of need to work on its schedule and its schedule is 24 hours a day, seven days a week." Beleave is a small operation, but Rigby still has to manage five different strains and multiple rooms packed with plants. The right tech, he says, "makes the grower's life a lot easier." The savings on labour, for example, "frees up growers to do other tasks, like propagating new crops, doing plant maintenance in other rooms," he says. He's convinced technology will play a make-or-break role in the industry. "As companies are scaling up, there's going to be a lot of automation and a lot of environmental monitoring coming online," he says. 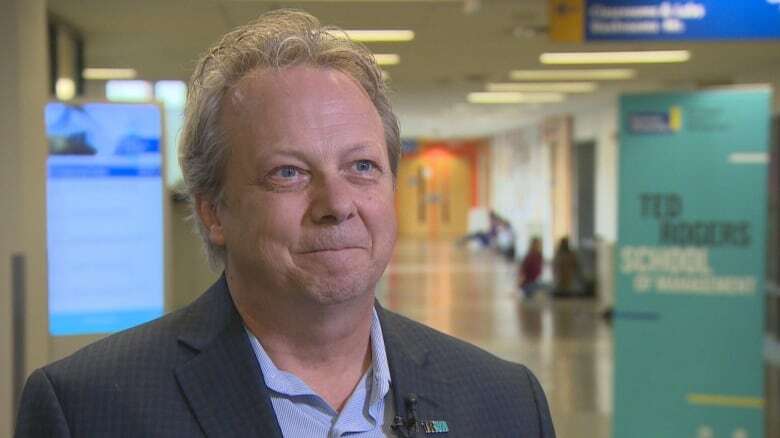 "You want to make sure your entire facility is working at a 100 per cent. It's going to be a dog-eat-dog market out there, and the guys who produce the best product are the ones who will be coming out on top." There are 130 licensed cannabis producers in Canada; each striving to improve quality, increase production and reduce cost. "The conventional wisdom is that the price of cannabis at wholesale is going down to the $2 per gram range," says Brad Poulos, who teaches a class called the Business of Cannabis at Ryerson University in Toronto. The pressure on producers to grow at that price puts the weed tech companies who help them in an excellent position, one that echoes the past of an iconic Canadian industry. "If you go back 100 and some years to the gold rush, the people who made the money were the people who sold the picks and the shovels and the axes and the pans, not so much the people who were scouring for gold," says Poulos. The analogy isn't perfect but Braingrid and other weed tech companies are betting on the idea that serving the needs of pot producers will pay off. Monitoring plants is one thing, but being part of the industry's pace of growth doesn't leave Kadonoff with much time to reflect. "It shows no signs of relenting," he says. "It's hard to keep track of how much is going on."